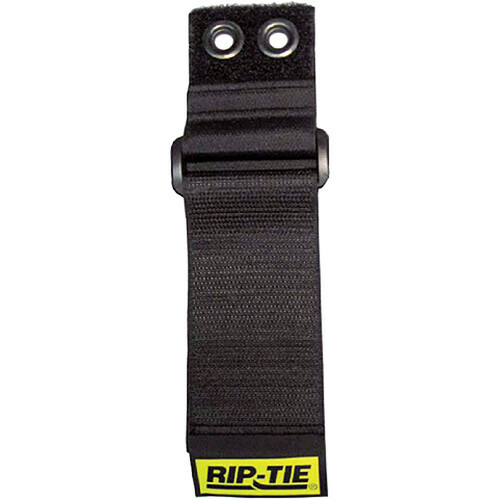 Size (W x L): 2 x 94"
The Rip-Tie CinchStrap-EG (2 x 94", 50-Pack, Black) is used by professionals to manage cables. It can take the stress off horizontal cable runs and safely organize cables from wiring racks, mobile carts, along walls, over doorways, and in wiring closets. It is made from durable hook-and-loop material with two solid brass spur grommets to support heavier cable runs. The strap will attach to any rack or surface. Note: Included is a pack of 50 black 2 x 94" CinchStrap-EG ties.